Learn the many ways to treat skin cancer. This method removes skin cancer by the combination of a surgical instrument called a curette and an electrical current delivered through a special needle. The tumor is first scraped with the curette and then further destroyed with the electric needle. This process is usually repeated three times. It is highly effective and very commonly used. It can often be done the same day as a biopsy for convenience if the diagnosis is certain. Stitches are not needed for this method. A small bandage is worn to cover the area until it heals. Surgical excision is a very common and effective method for treating skin cancer. A surgical scalpel is used to incise and remove the cancerous tissue. The tissue that is removed is then sent to a pathology lab where the margins are checked to ensure the tumor was completely removed, which can take a few days. Surgical excision can be performed in the office with only local anesthesia in most circumstances. This method usually requires stitches for one to weeks. Mohs Micrographic Surgery is a specialized form of surgery performed by a skincancer specialist. This method is the most precise and accurate method for skin cancer removal, providing cure rates up to 98–99%. In this method, the physician is both surgeon and pathologist, enabling the margins to be checked while you wait. Mohs Surgery is often performed on the “high risk” areas of the central face. A skin cancer is frozen with liquid nitrogen, which kills the cancerous tissue. Although this method is not commonly used today, it can be very effective in expert hands. A pulsed beam of light is used to selectively destroy tumors that are superficial. Special X-rays are used to kill the cancer cells in a series of treatments. This method is sometimes also used along with surgery for very large or aggressive tumors. It is performed by a special doctor called a radiation oncologist. 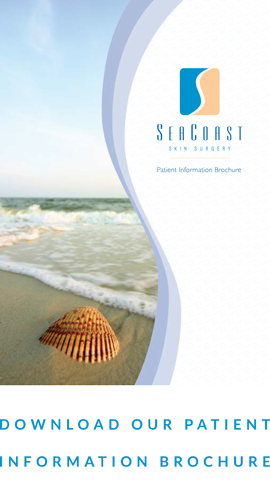 This is a topical form of therapy approved for superficial forms of basal cell carcinoma. The cream is applied daily for over a month and activates the body’s immune system to help kill the cancer. Light and special chemicals are combined to kill cancer cells.